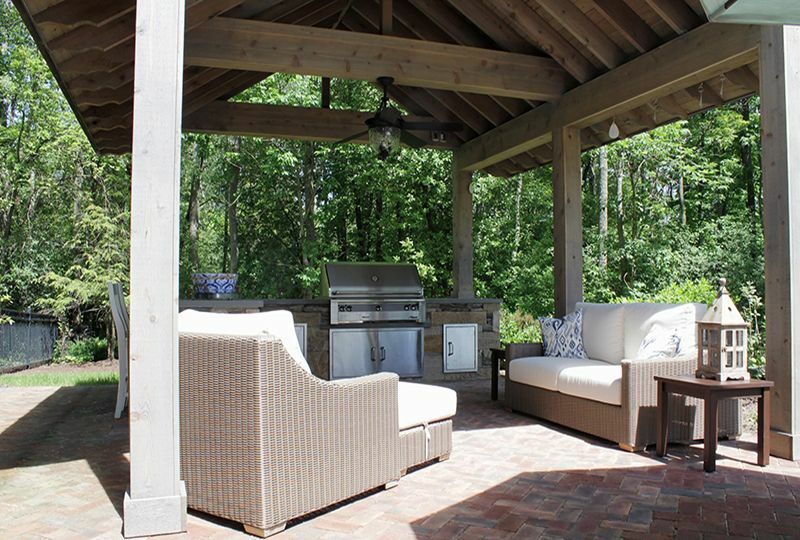 Do you often imagine how wonderful it would be to spend more time outdoors? Exscape Designs works with clients across Greater Cleveland to design and build their ideal outdoor dining and entertaining space. 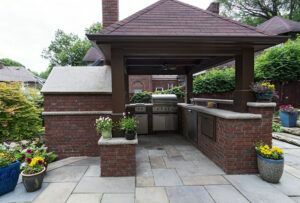 There are many innovative ways to incorporate beautiful, custom outdoor kitchens into your landscape design. 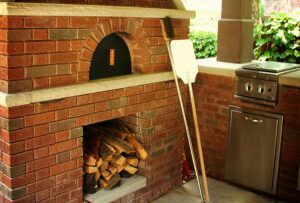 For anyone who loves cooking and dining al fresco, an outdoor kitchen can add tremendous functionality and value to a home. 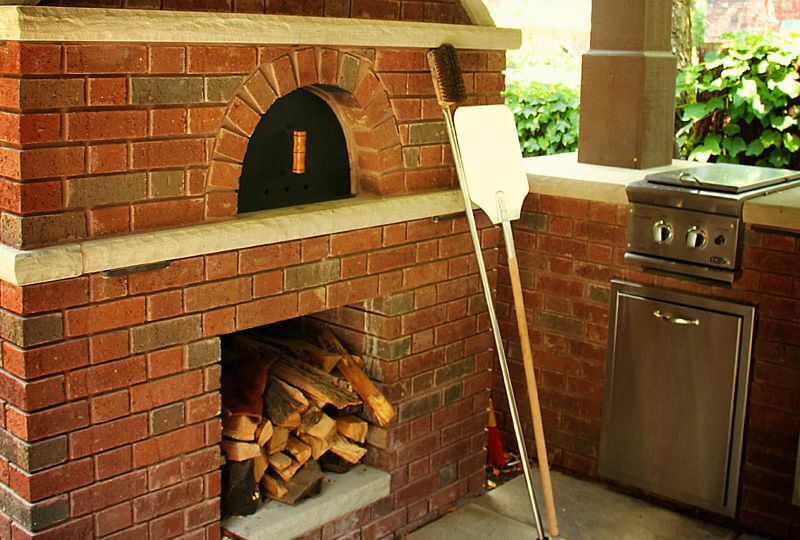 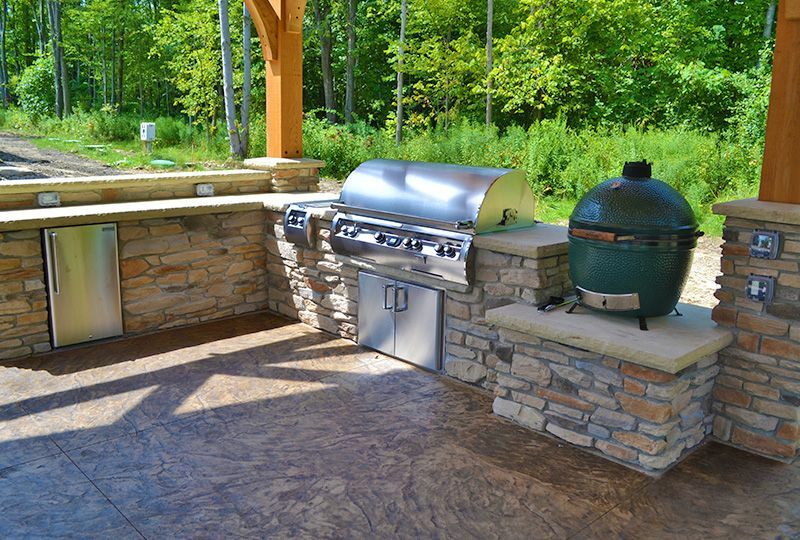 With plenty of space incorporated for cooking, custom outdoor kitchen appliances, food equipment storage, and dining, an outdoor kitchen design can be tailored to meet your exact specifications and style preferences. Our landscape architects combine knowledge of plant ecology with excellence in landscape design and exterior lighting to create a desirable and functional outdoor kitchen that complements the existing design of a client’s home. 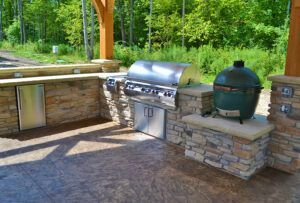 Let the pictures below serve as an inspiration for your outdoor kitchen project, whether you want a kitchen with a pavilion or a kitchen incorporated into a larger patio design.